People who love fast-paced, no dull moment kind of movies may not enjoy The BFG's film adaptation. My husband didn't like it. But if you can sit though illustrative, narrative books reading arduously for countless hours, you may possibly appreciate this. It figuratively caused a time travel effect for me, as if I was all the way back to elementary school reading children's story books. I also displayed the same patience and curious satisfaction while watching the lengthy A.I. (2001, with a run time of 2 hours and 26 minutes). 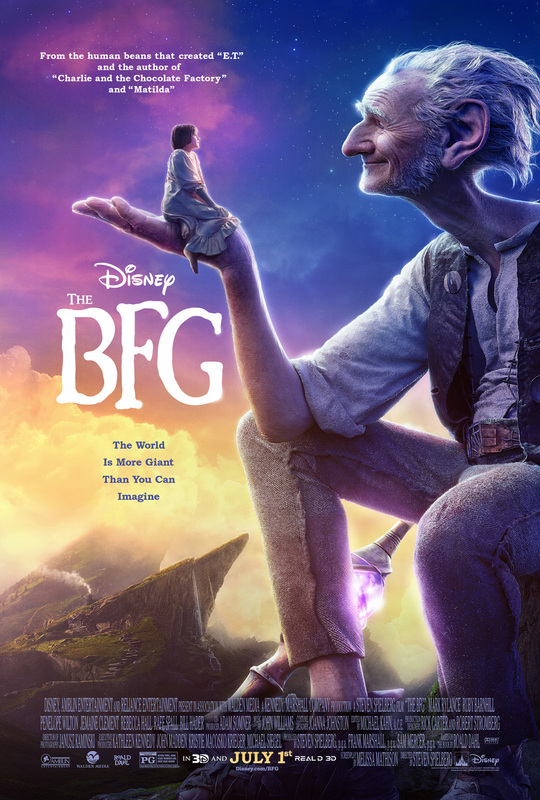 BFG runs for 115 minutes. Incidentally, AI is also a Steven Spielberg movie. Our kiddo enjoyed the movie too. She had been cheering, "I love BFG!" all the way home. However, I sense her boredom midway through the film. I asked her about it afterwards and she did confirm what I thought was the reason why - the dragging run time. As the story progressed towards the climax though, the flow felt more comfortable and she was engaged throughout the conclusion. I stayed while the credits rolled. There was no Marvel teaser scene whatsoever but the message "For Melissa" caught my attention. It's Melissa Mathison, the screenwriter who died November last year with BFG as her last project before succumbing to neuro-endocrine cancer at age 65. The poster showed July 1st but the local showing (Philippines) was actually moved to this month (August). I still waited for it to hit the cinemas though.